I guess people reading this blog normally just find information on restaurants. However, I am going to do something different in this post. Yep, I am going to introduce you my new favourite supermarket sweet – Chateau Blanc Macarons. They are available only in Woolworths, priced at $8.98. Many of you may be confused what’s special about these macarons and wonder why I am introducing them here. Maybe one has not heard of this brand before but they definitely know Starbucks. Yah? Yes, Chateau Blanc was the producer of macarons exclusively for Starbucks. In the US, they are sometimes sold in McCafe as well. Anyway, in 2010, Starbucks introduced a Chateau Blanc limited edition 12-piece-macaron set which includes a selection of flavours for the consumers to sample. This product received high popularity in the US last year. We came across this product in Woolworths Rundle Mall last week in the fridge section. When I saw the package, I was so excited for 3 reasons. 3, You don’t normally see a product like this in woollies. I normally refer their sweets as inedible. However, I was also worried at that point in time, the macaron may have gone bad, considering the storage method as in a Fridge. My wife took all 3 sets for me and after getting back home, I immediately started my bite on them. Oh, beautiful and absoultely devine. You get to sample 6 different flavours including Cafe, Pistache, Framboise, Chocolat, Vanille and Citron (Lemon). They are all very tasty and nutty. By saying nutty, I meant it. One can experience the almond nut feel on palate after several chews and these macarons go very well with coffees and teas. 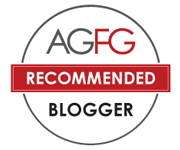 Anyway, for my new favourite, I ‘d like to recommend it to readers of this blog. With 80 years experience in patisserie in France, Chateau Blance has developed good reputation and these macarons are definitely not disappointments! Ps: Woolworths will have the set at an introductory price for $7.98 from Wednesday 23/11 til Tuesday 29/11. I’ll continue to check them out and keep my readers updated. 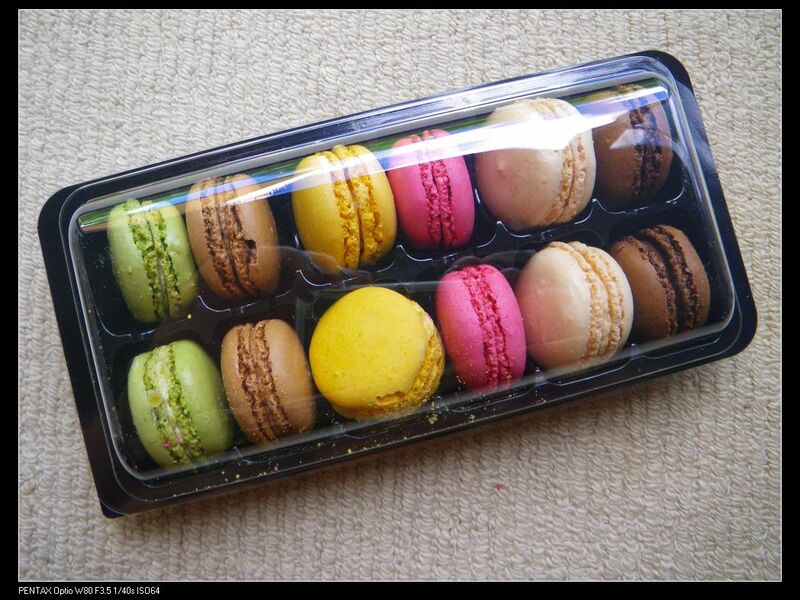 These macarons are very tasty. Woolies finally made a good choice this time! l used to hate their deserts a lot. I think they still have the macarons there in the woolies. Enjoy! I’ve checked the other day as well, woolies in Adelaide metro area all stock this product. Enjoy!! Saw these at the Goodwood Road Woolies, the one next to Big W, didn’t buy them cause I was sure prepackaged macarons would be terrible but I must go back now! Hi, Amy. 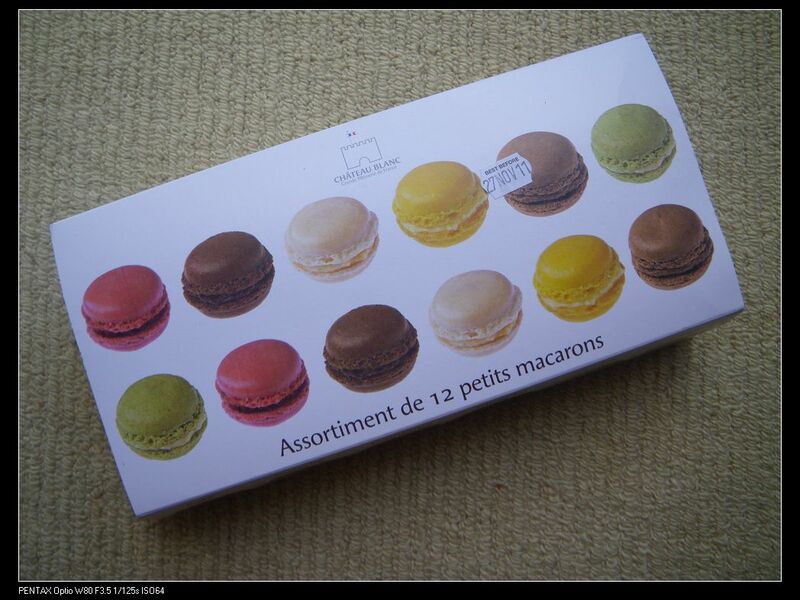 I recommend you to watch out for these macarons. Their quality varies lately. The original ones I had were yum and nice as I stated in the post. All my colleagues loved them when I took 5 packs to work for them to try. However, 2 months ago when I poped down to get another batch, they were muddy and too fragile. I think that’s because woollies have stored them too long in fridge. Anyway, just make sure you check the item (eg, appearance, expiry date and check with the service ppl in woollies) before buying. Wish we could get them here! R u based in South Africa? My brother in-law and his family used to live there. Looking forward to reading more of your local food and ingredients!